easy assembly and easy to use! 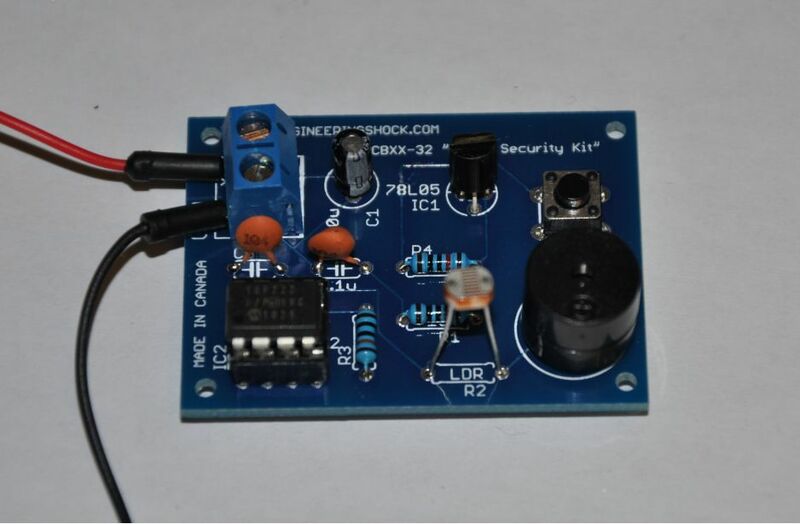 This listing is for a fun and effective laser security system DIY electronics kits. We offer this listing in two variations. This listing comes with all that you need to create the kit discussed in the above video. The below video offers step by step assembly instructions. You can use this kit as a close proximity detector, or as a laser breach alarm. Unlike most laser detection circuits, this one does not use any amplifiers or hardware comparator circuits. Instead, when a sudden change in light his the on board LDR (Light Dependant Resistor), a very small signal is coupled to the ADC (Analog To Digital Converter) pin of the on board microcontroller. The microcontroller is always scanning and waiting for this, and will set off an alarm when it detects a sudden change of light. You don't have to use this circuit as a laser breach circuit. You can also use it as a close proximity detector. If placed in front of a door, when the shadow of the opening door is quickly passed over top of the LDR, it will set off the alarm. This is just one example. This kit does not come with a laser. 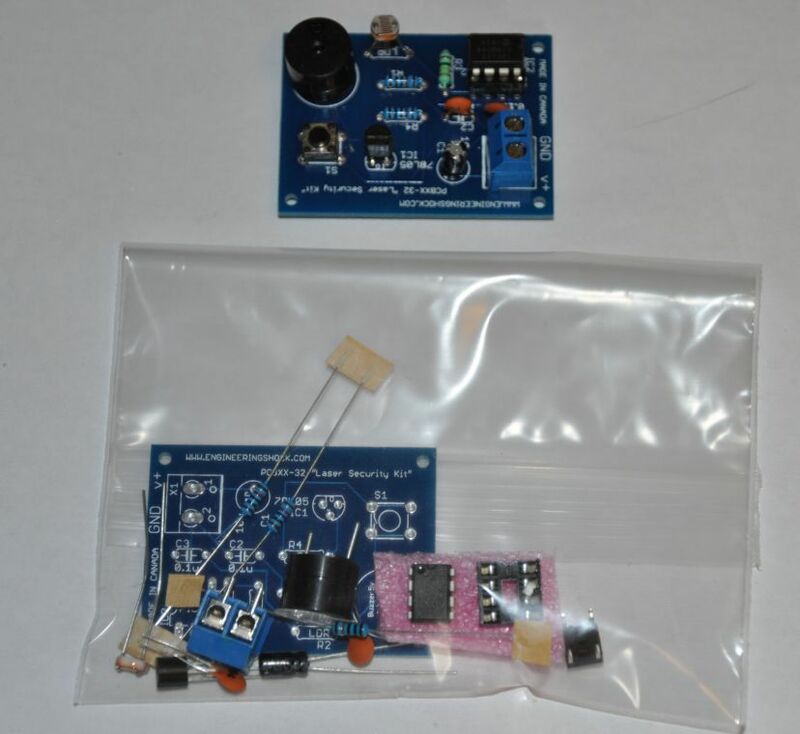 It comes with all of the components required to assemble the kit, including a custom PCB. We have another listing that includes an AA battery holder and a 5mw laser module. Check out our store! If you have your own laser (Any laser pointer will do), then you can save a few dollars by buying this listing. If you're in need of a laser, and a laser power supply (AA Battery holder), we sell them in another listing for an additional $3.50. 3) 24 hour access to the assembly and demonstration videos =) (Seen above and below). NOTE: This kit comes with no hard copy of the instructions. The videos gives you more than enough information to get you up and running. When you purchase this listing, you will receive parts only. 3) The assembled circuit requires 7v-12v to operate.